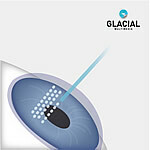 IntraLase is also called”all-laser LASIK” and “bladeless LASIK”. As these names imply, the surgical cutting instrument is not used with this type of LASIK. In traditional LASIK a little flap is cut on the eye’s surface with a microkeratome, folded back to expose the next level of tissue, and the laser is directed on the specific areas that need correcting. Then the flap is folded back into position and heals quickly. Although in some cases the microkeratome is still used, there is a little more risk associated with it. This is an infrared laser (meaning its vibration is below what we can see) and it pulses at the unimaginably high speed of one quadrillionth of a second per pulse. This means that tissue can be separated without surrounding tissue become too hot. This IntraLase laser, guided by the computer, creates a pattern of unbelievably tiny (3-micron diameter) overlapping spaces below the cornea’s surface, such that a very thin flap is created. As with traditional LASIK, the flap is hinged and the surgeon folds it back to expose the next level of tissue where the excimer laser can do its correctional work. 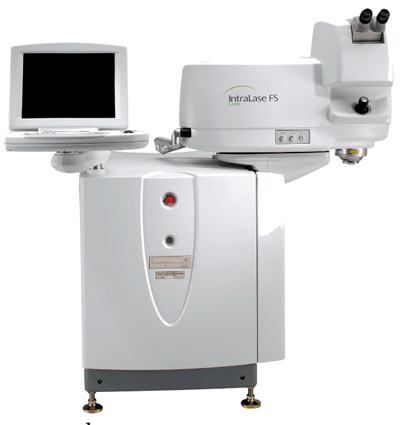 Use of the IntraLase laser opens the door wider for more people to enter the LASIK world. Previously, there was a limit set by the cornea’s thickness. In some people, the cornea surface was not thick enough for a flap to be safely cut. But the IntraLase laser can make that little flap as thin as 100 microns, so people with thinner or flatter corneas can now benefit from laser eye surgery. Learn more about Intralase in our FAQ section. Don’t settle for mediocre LASIK. 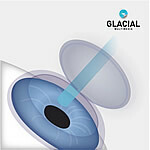 Trust your eyes to the LASIK leaders with a commitment to technology. Contact Berg·Feinfield Vision Correction today for your personal and complimentary eye care consultation.